Part of Dr Warren Wiersbe's best-selling "BE" commentary series, this offering has now been updated with study questions and a new introduction by Ken Baugh. A Respected Pastor and Bible teacher, Dr. Wiersbe shares the vital need for authenticity in an artificial world. You'll discover how to pursue authentic relationships with others and God, and live out your faith in an irresistible, compelling way. 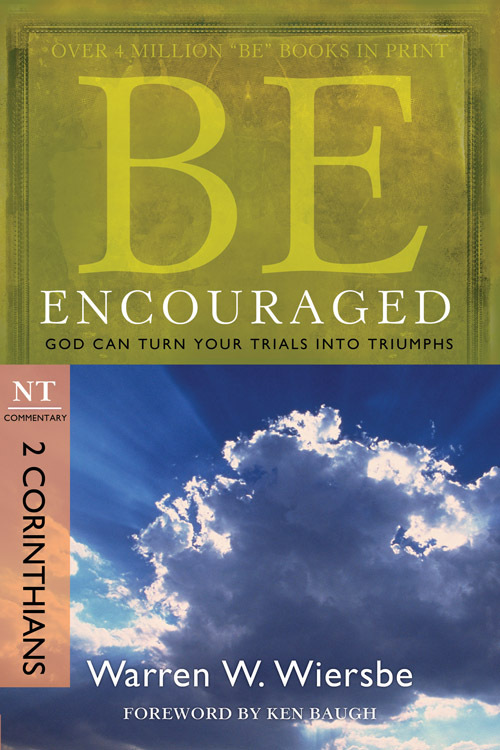 Be Encouraged: 2 Corinthians by Warren W. Wiersbe was published by David C Cook in April 2010 and is our 8189th best seller. The ISBN for Be Encouraged: 2 Corinthians is 9781434766335. Be the first to review Be Encouraged: 2 Corinthians! Got a question? No problem! Just click here to ask us about Be Encouraged: 2 Corinthians.